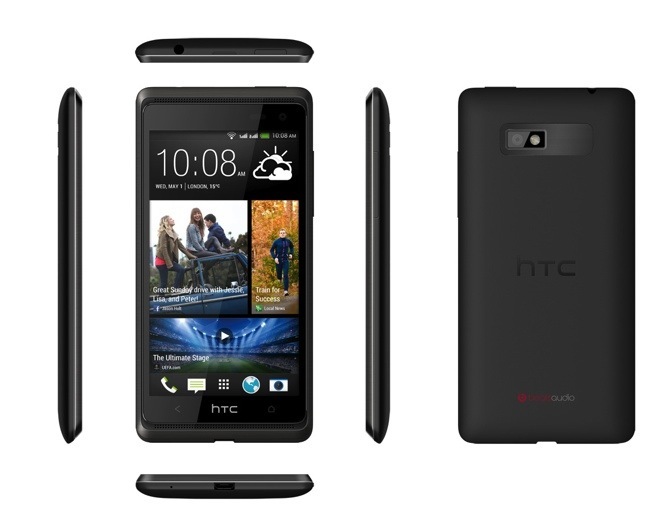 Just after the benchmark results of a supposedly, ‘HTC Desire 600′ was posted in the GFX bench, it didn’t take long for the Taiwanese firm to unveil the next flagship device in the Desire lineup, HTC Desire 600. The Desire 600 is a mid-range smartphone which would offer the Sense 5 experience, originally launched with the much acclaimed HTC One.- HTC BlinkFeed and HTC BoomSound. For those who still do not know what these features do, here’s a brief description. HTC Blinkfeed aggregates news content from around 1400 sources and presents it to the users in the home screen. As the HTC desire comes with dual-front facing speakers, it would allow the consumers to enjoy watching movies or listening to music with a sharp and rich sound output. 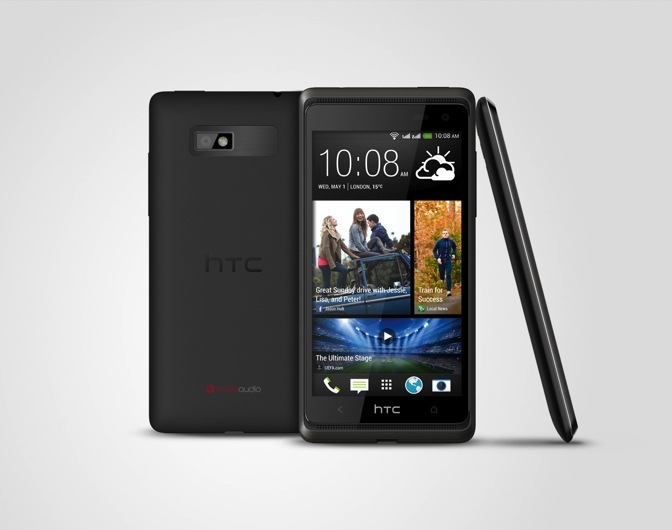 This is what HTC BoomSound offers and with Beats Audio integrated, consumers would get better sound quality. The Android Jellybean device is armed with Qualcomm Snapdragon 200 quad-core processor clocked at 1.2GHz, 1GB of RAM and comes with a 4.5-inch qHD display at a resolution of 960 x 540 pixels. The display panel, SuperLCD2, is one step down than the awesome HTC One’s 1080p SuperLCD3. Around the back, there’s a 8MP camera with a 1.6MP one at the front. The Desire 600 comes with 8GB of internal storage, dual sim capabilities and has a 1860mAh battery.